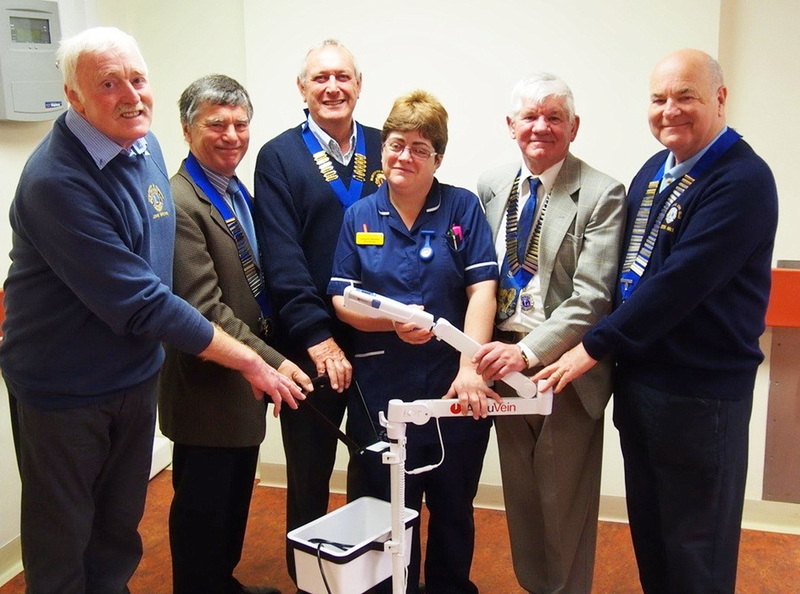 Members of four Lions Clubs in North Lincolnshire came together to see new equipment they helped to buy on ward 18. Julieann Woollas, ward manager, centre. Mapping veins is the purpose of new technology donated to the oncology and haematology ward at Scunthorpe hospital. The piece of equipment - the first of its kind for ward 18 – worth £3,400 uses a non-invasive infrared light to make even the hardest to find veins easy to see. This is particularly crucial for people undergoing treatment for cancer as veins can become less visible. Julieann Woollas, ward manager, said: “Trying to put a cannula in a patient who is undergoing chemotherapy can sometimes be very stressful for them. Their veins become a lot harder to access so trying to search for one can be painful and upsetting. 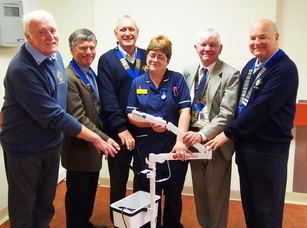 The equipment was purchased after a joint donation of £3,000 from four Lions Clubs in North Lincolnshire; Scunthorpe, Barton, Isle of Axholme and Winterton. Don John son, president of Winterton Lions, said: “A member of my club is being treated on ward 18 for cancer so we wanted to support her and the department the best we could. “I spoke to the ward and asked them if there was anything in particular they would like us to buy. Julieann told us about this machine and that is when I decided to approach the other clubs in the area. Lions fund raise throughout the year and donate to various causes. “Seeing the machine and what it does is amazing. We all know someone who has been through cancer and the devastating affects it can have. To be able to help in this way is a great feeling for us all.” Julieann said: “We are very grateful to the Lions for their donation. The machine is proving to be a success on the ward.